Even in paradise there are good days, better days and very special days. As Monday was my birthday, Rolf made it an extra special day. 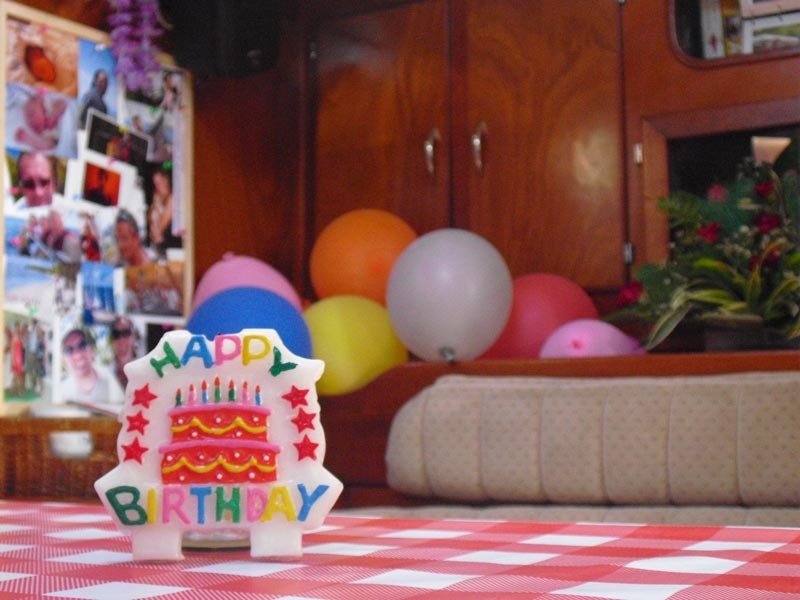 It all started with breakfast in bed (well actually cake in bed) and a boat full of balloons and flowers. 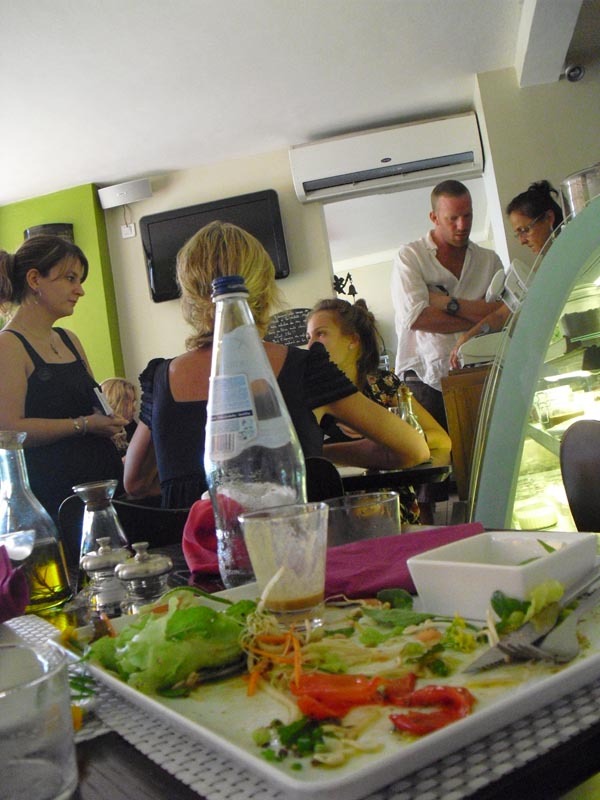 Followed by lunch in Papeete in lovely Café Verde (highly recommended if you ever get to Tahiti). After that I finally got my surprise: a visit to the Deep Nature Spa where we received a Bora Bora deep blue massages which “includes a moisturizing effleurage applied using marine purses, relaxation techniques and Polynesian know-how” and an accompanying facial. After three hours we were indeed deeply relaxed! And not up to the fancy dinner Rolf had planned as the grand birthday finale. 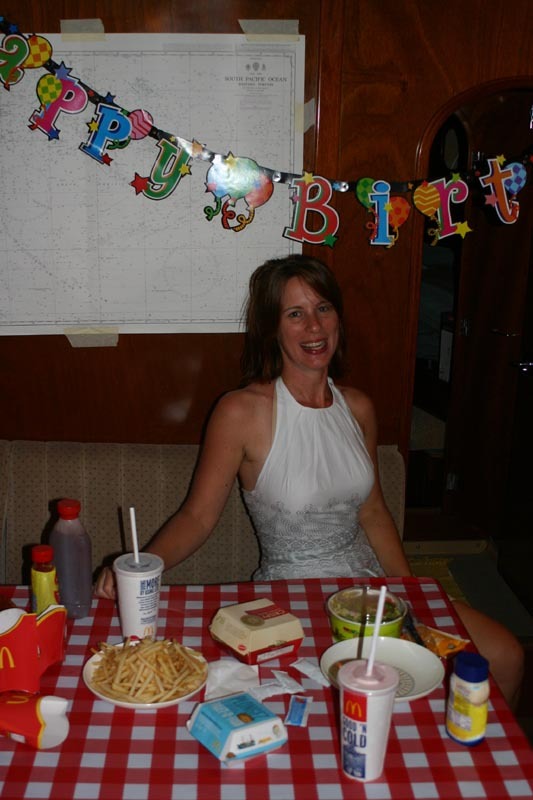 So we ended up going home and having a real McDonalds birthday party with French fries and a strawberry milkshake. A perfect ending to a perfect day. And now the other side of our days here in paradise. For those of you who have been wondering why there haven’t been any updates: we’re to busy with quite mundane things to write posts about our fabulous island live. The last two weeks we have been working very hard to get the boat ready, so we’ll be able to continue on our trip. So on Monday, in between all the birthday activities, we also had to do some boat related stuff. We only did the strictly necessary, which meant the new steering seat was delivered, the watermaker repairman came by for about the tenth time to try and fix the watermaker (later in the day he came by to drop off some birthday flowers, that’s how well we know him by now! ), we went to the welding shop to see if they had started on welding our new quadrant (as they said they would a week ago) and we had a discussion with customs trying to get our parcel from France which finally arrived -after going around the earth twice- and holds our very important steering system. Je maakt wel een feestje van het leven op deze manier. Stiekem wel een beetje jaloers.